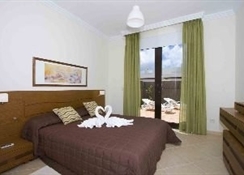 The Las Buganvillas complex of villas offers the height of modern living in a convenient location in Playa Blanca. Everything you need for an enjoyable holiday is only a quick car journey away - with the sandy beach, shops and restaurants all just two kilometres away down the road. In terms of the villas, they are all built over a single storey and offer bright, airy and super-stylish accommodation, all enclosed within semi-detached, typically Canarian whitewashed exteriors. Inside, designer looks hold sway, with chic furnishings, elegant cream floor tiles and an ultra-modern kitchen equipped with state-of-the-art units and every cooking convenience. At the heart of each villa is a spacious, open-plan living and dining area, framed with picture windows and sliding patio doors that let the natural light flood inside, creating a sunny and welcoming place to relax. The bedrooms continue in the same vein, with understated cream walls, sleek dark wood furnishings and striking artworks adding dashes of bright colour. 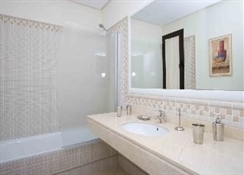 Three luxury bathrooms - including two en-suite shower rooms - complete the comforts. 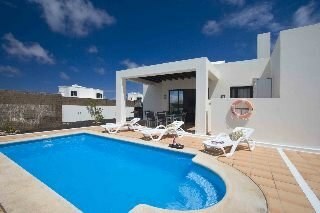 Facilities at the Villas Las Buganvillas Lanzarote include a sun deck, air conditioning and an airport shuttle. A safe, a garden and a car rental desk are just some of the features that this romantic property has on offer to guests. 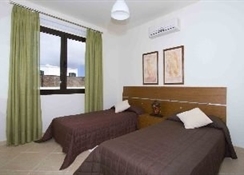 Arrecife Airport (ACE) is under a 40-minute drive from the Villas Las Buganvillas Lanzarote. Shops, bars and entertainment are all within an easy stroll of the property. The Villas consist of three bedrooms, three bathrooms (one on suite), kitchen, dining-living room, private pool (Pool Heating is optional at Euros 15 per day payable locally. ), terrace, garden and private parking. 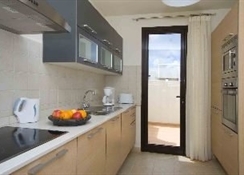 Fully equipped with microwave, refrigerator, oven, toaster, kettle, coffee maker, iron, washing machine, satellite TV , DVD and CD player, air-conditioning and heating. 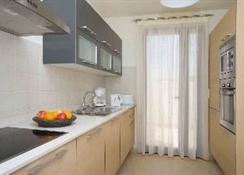 The villas are situated just 1.5km from the beach and the town centre. There is a golf course 31km away. 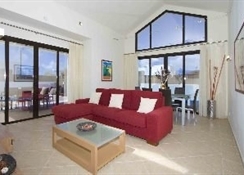 The resort of Playa Blanca is approx 31km from Lanzarote Airport. Lovely villa that was well equipped, in a quiet are.